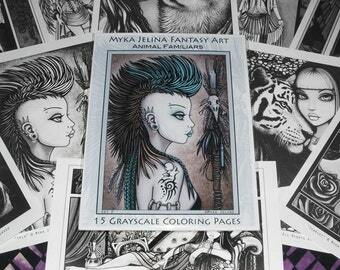 Announcement Colorful fairies & beautiful creatures created by Myka Jelina to brighten your world. 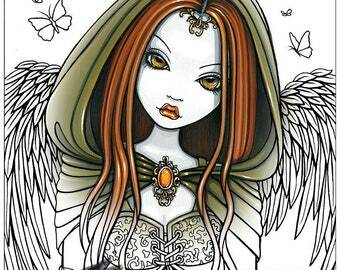 Coloring Pages, Jewelry, Bookmarks, Hand Signed Prints, Canvas Prints, Acrylic Paintings of Gothic Fairies, Mermaids and more. 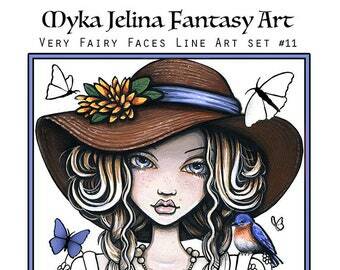 Colorful fairies & beautiful creatures created by Myka Jelina to brighten your world. 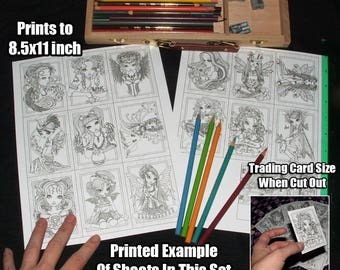 Coloring Pages, Jewelry, Bookmarks, Hand Signed Prints, Canvas Prints, Acrylic Paintings of Gothic Fairies, Mermaids and more. 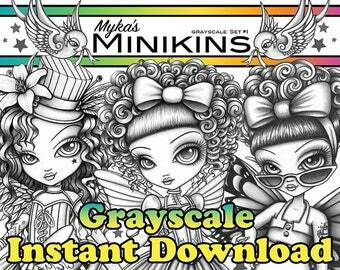 Mykas Minikins Grayscale Set 1 Digital download - Color Fairy Art - Six page printable coloring book of big eyed fairy girls to colour.. I love my Print, it's so much nicer than the picture shows. It was dispatched promptly and well packaged. Love them! Looks just like the seller’s picture! 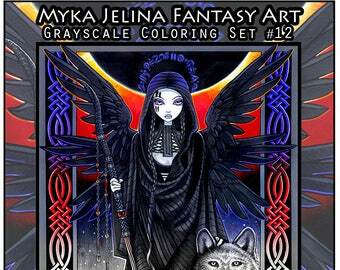 Myka Jelina (Born 1973) is a popular Gothic fantasy artist. Myka paints in acrylics onto wooden panels. 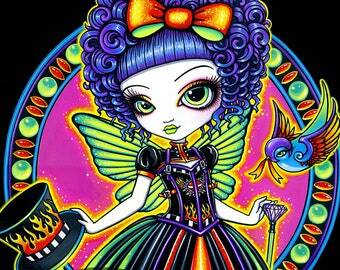 She sells her artwork, prints and jewelry all here on etsy. 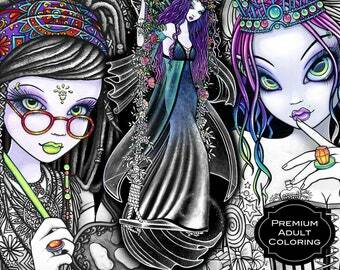 Eclectic paintings you will love. Like nothing else, except for you. 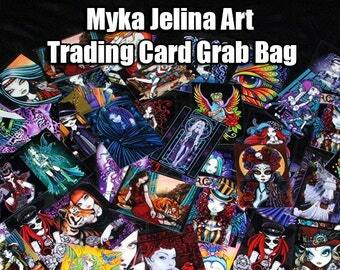 Now Accepts all Major Credit Cards & Etsy Gift Cards. Art Pendants, Necklaces, Prints, Paintings. 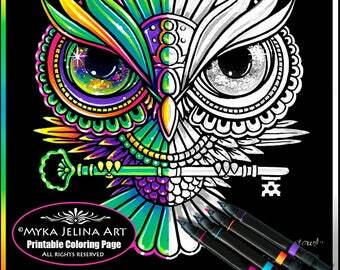 Fairy art, faery artwork,psychedelic owl art, signed prints, limited edition signed canvas prints of big cats, gothic faeries, rainbow girls, steampunk faeries, dread fall faeries, exotic fae art rockabilly girls, mermaid artwork rainbow owls and more. 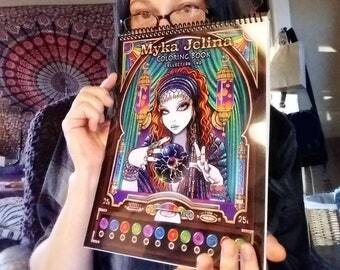 Myka Jelina is a fantasy artist born 1973 in North Carolina who currently lives in the beautiful Missouri Ozarks. 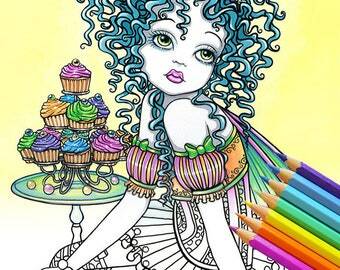 She sells her acrylic paintings, prints, jewelry, coloring books and much more right here on etsy.